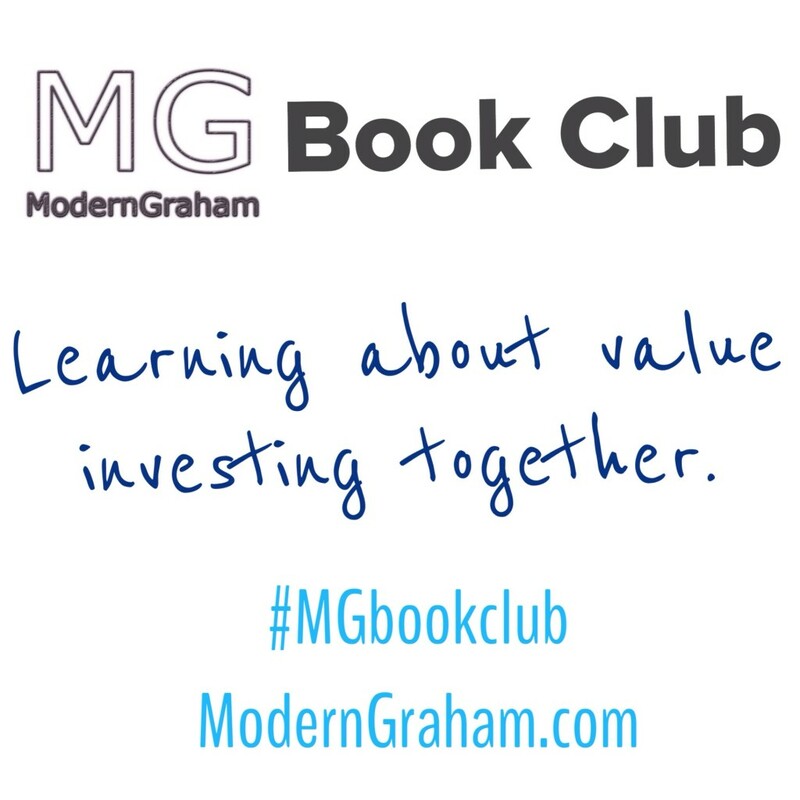 This is the second discussion of the ModernGraham Book Club‘s reading of Business Adventures: Twelve Classic Tales from the World of Wall Street. This week we are discussing the first chapter of the book, titled “The Fluctuation”. I encourage you to purchase the book (preferably by clicking the link to Amazon, because a purchase through that link will help support the club) and join in with us as we read through a chapter each week; however, even if you don’t have the book I think you will find our discussions to be very useful in your own understanding of value investing, and you can still bring a lot to the discussion from your own experiences as an investor. Whether this is the first day you’ve ever been interested in investing, or you have decades of experience with the stock market, we’d love to hear your thoughts in the comments below! For this particular book’s discussion, frequent ModernGraham commentator John Michler will lead the discussion. John brings experience in banking to the discussion, and his passion for value investing will drive some great commentary as we read through Business Adventures. It is planned that each post will include each of our thoughts about the chapter followed by some discussion questions. What do you think of Mr. Market’s mental state in May 1962? Ben has a regular post about Mr. Market, and he uses a Graham parable to explain how the market can swing in the short run. Ultimately, the market is a voting machine in the short run and a weighing machine in the long run. It is amazing that in a matter of a few days the market can take a massive dive, and then totally reverse itself. I can vividly remember the several months that the recession kept diving and diving. It felt like the bottom was never going to come. I was working at Citi, and I saw my shares just continue to sink, and I foolishly did not sell. Luckily, I risked only a small amount of bonus money, but it still hurts even to today. I learned a lesson: always re-evaluate your companies, and be willing to sell if you find something fundamentally is wrong with the business. It might have been that you simply did not see something important, but you must act once a major problem is found. What is your favorite quote from this chapter? … as de la Vega points out, “ the news [as such] is often of little value;” in the short run, the mood of the investors is what counts. Economics has a key driving theory that everyone makes the optimal decision, and that drives the markets to be efficient. If anyone made an inefficient decision, then someone would step in immediately to arbitrage and bring the price back into equilibrium. I find it hard to buy that the market is indeed perfectly efficient. There are a large amount of people making many decisions, and they don’t necessarily act rationally or they are not making a decision with all of the information taken into account. Perhaps there is too much information to make a quick good decision. Hence, if you can’t utilize all of the possible information available, you need to operate on gut feelings in some way. This all provides opportunity for the value investor to take advantage of Mr. Market and the inevitable mood swings. Is there such a thing as a rational market in the short run, and are these just opportunities to buy and wait for the reversion to the mean? I have found the revision to the mean happen time and again, so I have come to expect that in down markets will rise and booming markets will come down. It is a matter of buying at a good price relative to your calculated intrinsic value no matter what the market is doing. You can’t predict what will happen, so keep to the Graham calculations as a guide on if you can buy or not. How do you position your portfolio to take advantage of Mr. Market’s mood swings – up or down? I have tried to build a portfolio that is about 25% bonds and 75% stocks. This has not allowed me much room to rebalance when the market dives. I increasingly see evidence that I need to put more money in bonds of short duration to be able to be in a position to buy great companies selling at discounts to their intrinsic value. However, I get stuck swinging for the fences, so I keep my portfolio more focused on stocks. When reading the next chapter, try to think about whether the events of the chapter have repeated at periodic times in the stock market since ’62. In hindsight, that fateful day of May 28th, 1962 became known as the original ‘flash crash’. It was a decline of 5.7% and seems to have resulted primarily from panic by individual investors as the market declined and investors were rightly spooked since they were unable to get current price quotes (since the NYSE ticker was running behind all day and was delayed a full one hour and nine minutes at the market’s 3:30 closing). Prior to 1962, ‘flash crashes’ of more than 5% on a single day had occurred only five days (all during the Great Depression years of 1929 to 1933). Since 1962, a few more days of more than 5% declines have also occurred, the worst being Black Monday (Oct 19, 1987), when the DJIA declined by fully 22.6%. The cause (in 1987) had little to do with individual investors and a lot to do with programmed trading (trades triggered by computer programs of large financial institutions). Mind Blowing Factoid: The NYSE trading volume on May 28th in 1962 was 9.35 million shares — and the ticker couldn’t keep up with what (at that time) was a huge volume. By comparison, the average (so far in 2015) NYSE daily trading volume is 1.15 BILLION shares — that’s 123 times more than the 9.35 million on that day in 1962. The author also describes how the 5.7% decline in one day was followed on the two trading days by increases that in total surpassed the 5.7% decline. So, if an investor had not panicked (and sold on the big down day), he/she would have likely more than recouped all of their losses quickly — thus “The Fluctuation” (down and up) of the market. I haven’t done so, but I’d like to know what happened on the trading days after Black Monday (and other flash crash days since 1962) to determine how quickly (or slowly) it took the market to recover to its pre-crash level. Anybody here interested in taking on this research question and sharing it with us here?